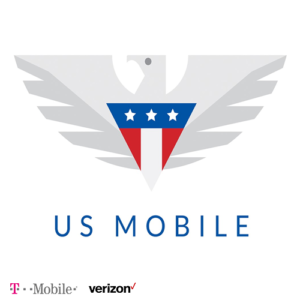 T-Mobile and Verizon MVNO US Mobile overhauled their plan offerings and instituted a fairly comprehensive a la carte system where customers can mix-and-match plan features. Customers can choose the limits for voice, text, data, data speed and mobile hotspot. 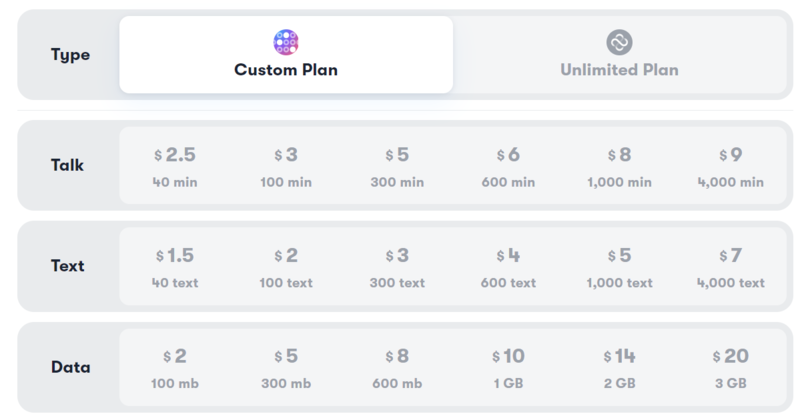 Depending on what options you pick, plans range in price from $6/month for all the bargain basement options to $65 a month for unlimited talk and text plus 20GB of high-speed data including mobile hotspot. The system allows customers to easily mix-and-match the features they want - a great way to build a custom plan. US Mobile's website makes it easy to pick your plan from a menu of options including an "unlimited" plan. The "unlimited" plan, however, really just means unlimited talk and text - speeds are reduced to 2G after 5, 10 or 20GB of usage in a month - depending on which data option you pick. Network Providers: Verizon or T-Mobile. Each additional Line: No discounts for additional lines, but each line can be independently configured for the features you want. 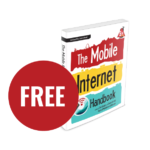 Mobile Hotspot: Free for plans up to 3GB. A $10/month add-on for plans with higher data allotments. Data Roll Over: Only purchased "Top Up" voice/text/data will roll over. The standard allotment that comes with your plan does not roll over. Streaming: No included streaming services or benefits. No streaming data throttles. MVNO's often play games with their plans and hide important details and caveats. 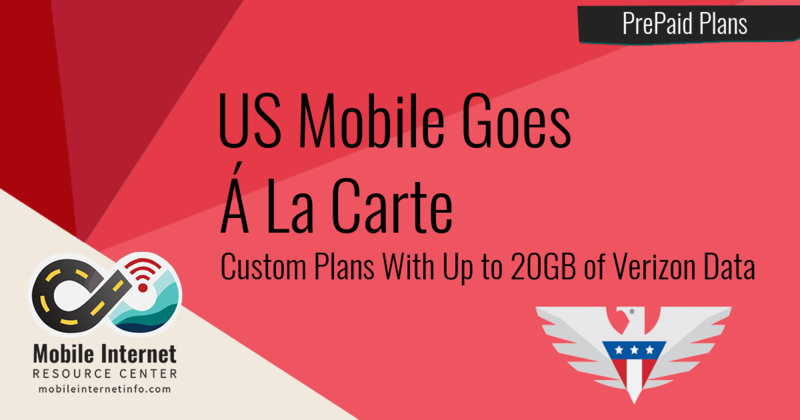 US Mobile's new plan configuration service is very clear and easy to use and it's nice to see such a comprehensive a la carte option. 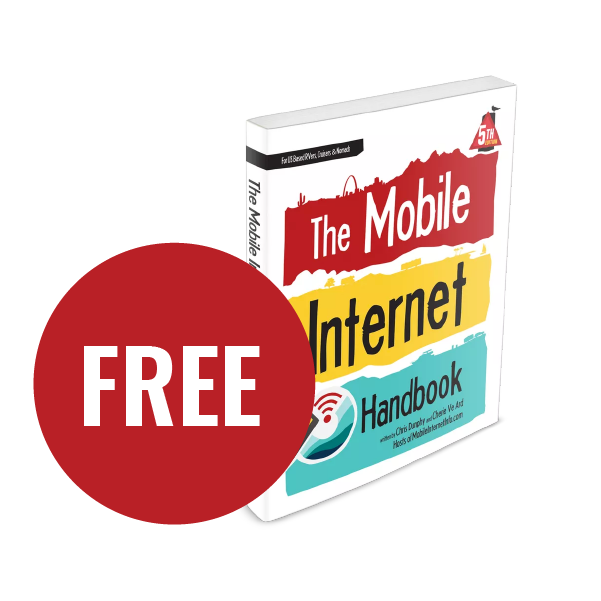 Mobile hotspot use comes for free with these plans. 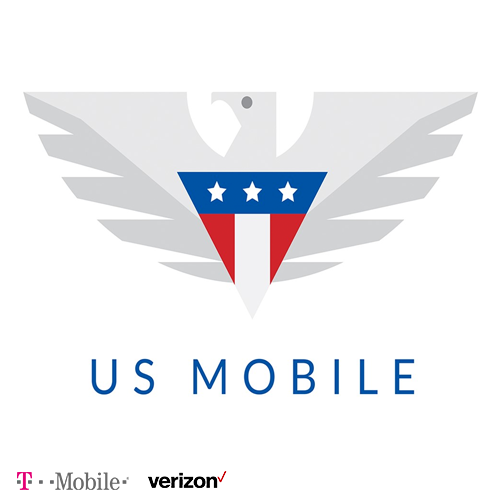 US Mobile "Unlimited" plan picker. 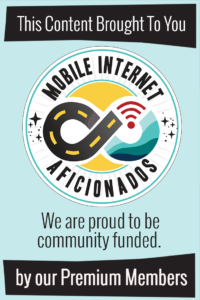 For the "unlimited" plans, mobile hotspot is not included, but available at $10/month. With the Unlimited plans, you have a choice of data speed (throttle) as well as how much data is included at those speeds. 1Mbps is no extra charge - the other two options are "fast" (5Mbps) for $5/month extra or "ludicrous" (unthrottled) for $15/month extra. It's nice that US Mobile gives customers a choice to opt-out of throttles by paying more. It's possible to switch or reconfigure your plan at any time, but your plan won't change until the next billing cycle. 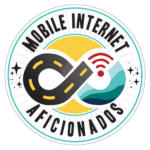 With some planning, this makes it easy to sit on a very cheap smartphone plan until you need more data - a good option for seasonal or part-time nomads. But since changes don't take effect until the next billing cycle, it will require some pre-planning. When you order a plan, US Mobile ships you a starter kit for $3.99 that includes two sim cards - one for the "Super LTE" network (Verizon) and one for the GSM LTE network (T-Mobile). Your carrier is chosen by which SIM you activate. However, you can call US Mobile and have them switch your account to the other network using the other SIM card that's included in the starter pack. So it's possible to migrate your plan to another carrier relatively quickly by calling US Mobile and changing your account to the other network - at least the first time. The limitation on this is that the T-Mobile network (aka "GSM LTE") SIMs can only be provisioned once - so if you start out with T-Mobile and switch your plan to the Verizon (aka "Super LTE") SIM, you'd have to order another starter pack to get a blank T-Mobile SIM before you could switch back to the T-Mobile network. 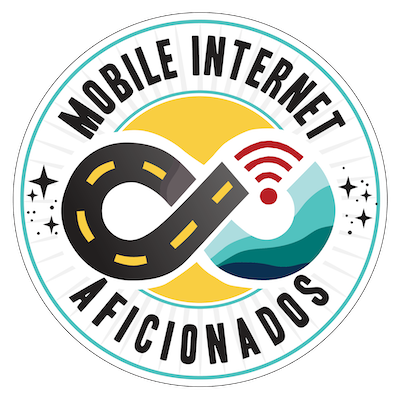 Still, despite this limitation, the opportunity to change the network carrier could be very useful for nomads who may find themselves in an areas where one of the two networks is better. However, don't expect to be able to switch back-and-forth between the networks frequently - although US Mobile customer service confirmed that it's possible to change networks with relative ease, frequent changes are not intended and they would discourage that practice, though they could not confirm what measures they would take. Overall it's really nice to see an MVNO offer such a wide array of choice. The online plan configurator makes it very easy to see what you are getting and there are hundreds of plan combinations that should fit many people's needs. 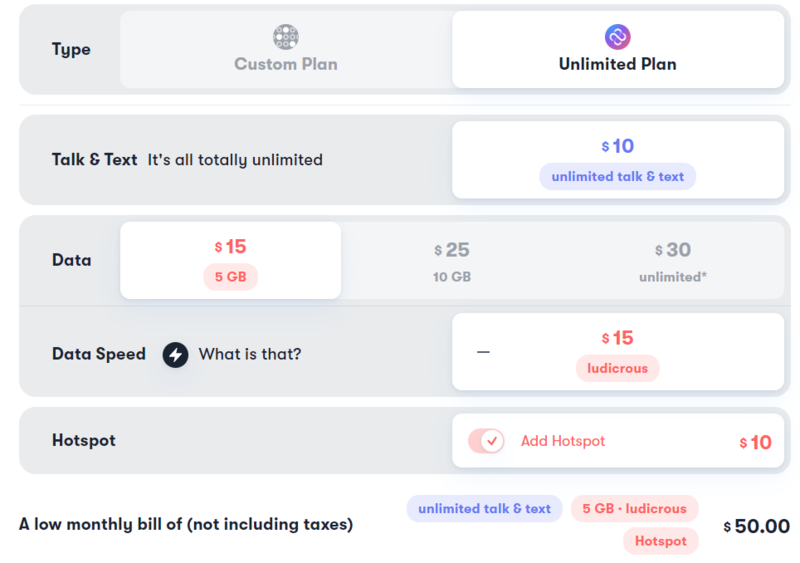 The top tier unlimited option costs $65/month and includes 20GB of full-speed data - all of which can be used as a mobile hotspot on either the Verizon or T-Mobile networks. This option compares decently well to Verizon's postpaid Above Unlimited plan, which is $95/month with 20GB of high-speed mobile hotspot use, and unlimited on-device high-speed use (subject to network management after 75GB of usage). And the option to change plans with each billing cycle and even occasionally change the carrier, makes this a very flexible option, particularly as a backup - but the 2G throttle after the allotment is used up on the "unlimited" plan means this isn't a good primary home-internet replacement for high bandwidth needs.